Here it is! 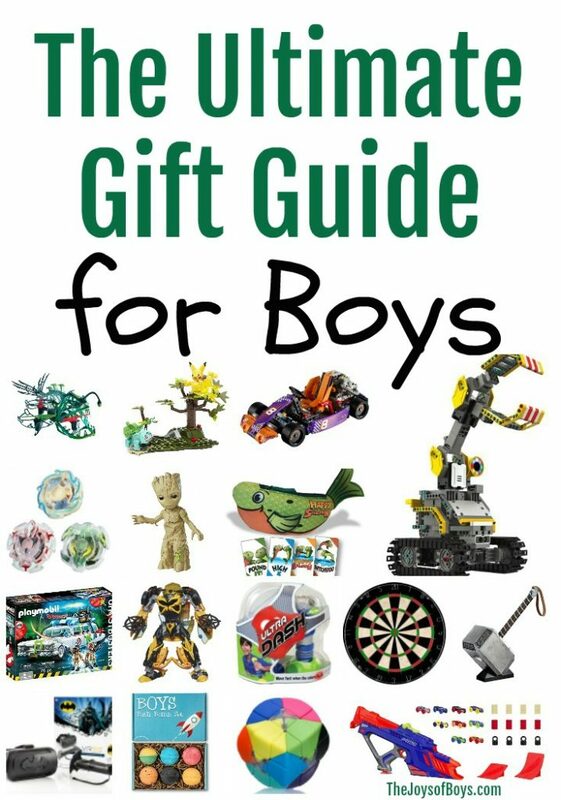 The ultimate gift guide for boys! 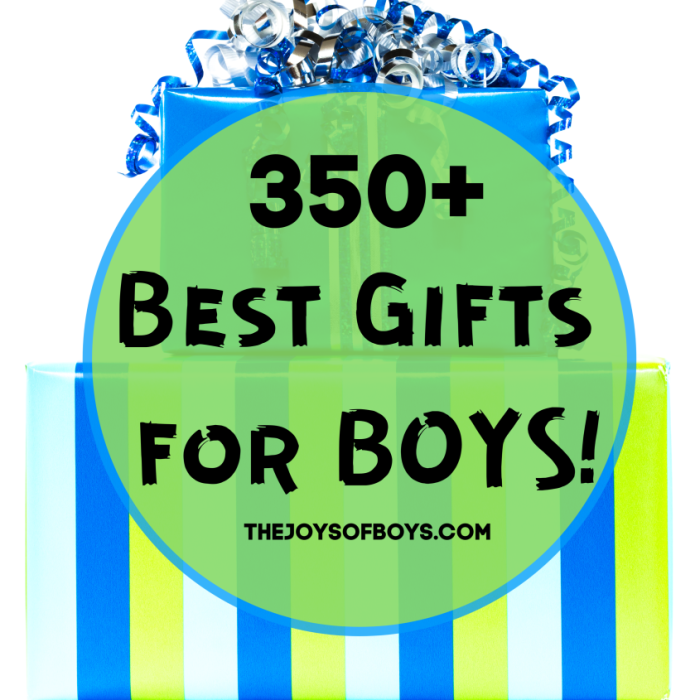 With over 100 ideas, shopping for the boys on your list will be the easiest yet. After scouring all of the fantastic choices, these are my favorites. They include a little bit of everything for all age ranges. 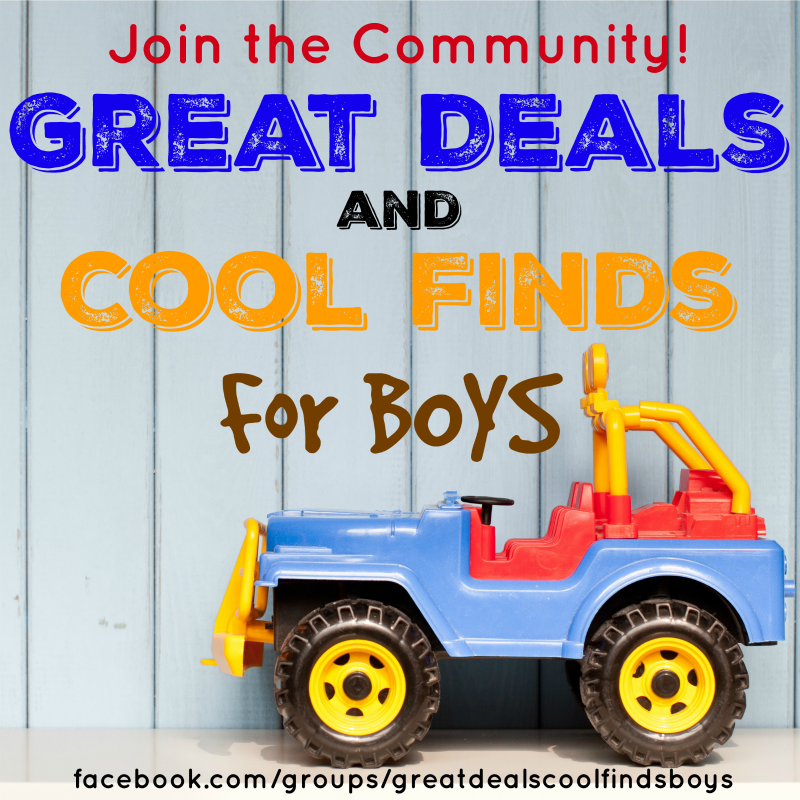 You’ll find programmable robots, LEGO sets, sports equipment, board games, and so much more. Star Wars Droid Inventor Kit: This kit allows teens to build their own droid, without any help from parents. K’NEX Thrill Rides Web Weaver Roller Coaster: Teens can build a battery powered coaster and try to break the speed record. Exploding Kittens Game: If the boy on your lists likes laser beams, explosions, and other cool things, this game is perfect. Table Top Pool Table: Playing pool is a fun sport to master for boys. Everything You Need to Ace Math in One Big Fat Notebook: The gift of math knowledge always makes a great gift. This is great for the teen in your life. Everything You Need to Ace Science in One Big Fat Notebook: Another gift of knowledge! Anki Overdrive: This Fast & Furious edition is one of the hottest toys of the season. Drop Mix Music Gaming System: This gaming system allows users to make music. National Geographic Metal Detector: Going on a treasure hunt isn’t as hard as you think. LEGO Ideas NASA Apollo Saturn V: This LEGO set comes complete with the lunar lander and the lunar orbiter. UBTECH Jimu Robot: Build and program this robot with snap-together pieces and a smart device. Interactive Builderbot Kit: This robot kit has all the bells and whistles including an infrared sensor. Optimus Prime Action Figure: This movie anniversary addition action figure is one of a kind. Marvel Legends Series Electronic Hammer: Use your voice to activate the light. BB-9E App-Enabled Droid: Use an app to control the movement of this BB-9E. LEGO Ninjago Movie Destiny’s Bounty: A good sized LEGO kit always makes a good gift. Dart Board: Give your boy a little competition with a dart board. Wilson NFL Football: Boys are always stoked on new sports gear. Makey Makey Invention Kit: Turn ordinary objects into touchpads. Crystal Growing Kit: Watch crystals grow right before your eyes. Spy Gear Ninja Night Vision: This is one awesome gift idea! 3D Pen: Bring artistic creations to life with a 3D pen. Mega Construx Halo Incinerator Cyclops Building Kit: This cyclops includes a cockpit and flamethrower. Nintendo Switch: The newest and most fun Nintendo gaming system. Hot Wheels Ultimate Garage: This Hot Wheels structure is over 3 feet tall! LEGO Technic Race Kart: LEGO sure has stepped up their game. This race kart has pistons that move up and down as well as a working steering wheel. Osmo Hot Wheels MindRacers Game: Use this hands-on techy toy with an iPad. HEXBUG BattleBots Arena: Give all of those Hexbugs a place to battle it out. Nerf Nitro Moto Fury Rapid Rally: Nerf and cars have joined forces to make one incredible toy! PLAYMOBIL Ghostbusters Ecto-1: Get in on the ghostbusting action with the Ecto-1 vehicle. Drone Force Angler Attack Drone Helicopter: This is one wicked looking drone. Ben 10 Rustbucket Deluxe Vehicle: You can transform this toy from a vehicle into a playset. Piper Computer Kit: Build a computer, program it, and play! Thames & Kosmos Robotics Workshop Kit: Design and program robots that can move around and avoid objects. Batman Virtual Reality Set: VR is cool on its own but add Batman to the equation and it’s a home run. Fisher-Price Imaginext DC Super Friends Batbot Xtreme: There are some many cool features on this toy…. punching fists, launching rockets, and more! Dancing Groot: Everyone needs a little dancing Groot in their lives! Ultra Dash: This board game keeps players on their feet. Nickelodeon Slime Kit: Make a variety of different slimes including glow, foam, and neon. Happy Salmon Game: Boys will get a kick out of this card game. Mega Construx Pokemon Pikachu vs. Bulbasaur: Perfect for the Pokemon fan on your list. Transformers Age of Extinction Generations Deluxe Class Bumblebee Figure: Bumblebee in all his glory. Battleship: Every boy needs one of these games! Beyblade Burst Custom Clash Pack: A great pack of battling top toys. Chewbacca Electronic Mask: Sound just like Chewbacca! Star Wars Galactic Heroes Jabbas Bounty: This set is perfect for younger boys who are just starting out on their Star Wars obsession. Bumblebee Evolution Pack: Bumblebee has come a long way over the years. This set has 3 cars that resemble the different styles. LEGO Technic Police Interceptor: The Technic line of LEGO includes some fantastic building kits. DC Justice League Cannon Blast Batmobile Vehicle: Comes with the rooftop cannons that shoots fire. Mini Flying RC Drone Helicopter with LED Lights: Drones are getting smaller and smaller nowadays which makes them the perfect size for an Easter basket or Christmas stocking. Air Hunterz Double Shotz: These foam dart guns come with a set of play barrels which are perfect for target practice. LEGO Pens: If your boys love LEGO, they will love these pens. Armadillo Cube: This modern-day Rubiks cube is the perfect brain teaser for a teen boy. Bacon Flavored Lip Balm – This would make the perfect gag gift. 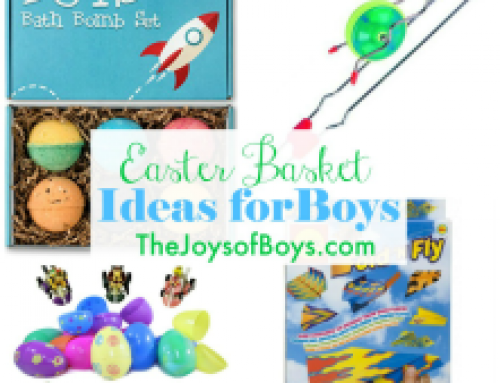 Boys would love it! Star Wars Lightsaber Pen: For all those Star Wars fans out there… these lightsaber pens would fit perfectly inside of an Easter basket or a Christmas stocking. And so would this Star Wars Mad Libs Book. 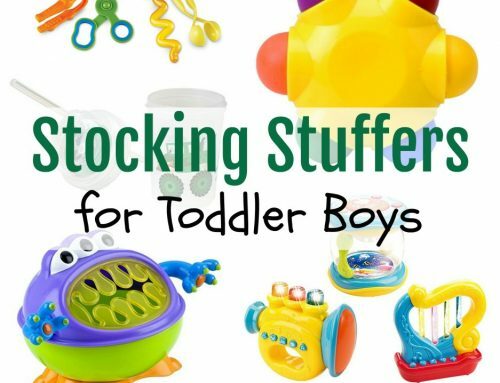 Fidget Toys: Boys always have a lot on their mind. Giving them something to fidget with helps improve concentration. There are a variety of items on the market such as this Magnetic Sculpture Desk Toy and Fidget Dice. Money Soap: Now boys can get clean and earn some money at the same time! You will find anywhere from $1-$50 inside of this bar of soap. Dill Pickle Mints: Use this idea as a joke, or as a real treat if your boy loves pickles. Fidget Poppin Peepers Brain: Give teens a way to release their stress with this goofy stress ball. Portable Power Bank: Teen boys always need an extra charge. Their mobile devices will never run out of power. Rapid Ramen Cooker: Making noodles is a breeze with this Ramen Cooker. No more dirty pots or pans. Zombie Plant: When you touch this plant it plays dead, and then comes back to life. Sasquatch Soap: Helps get rid of that stinky teen smell! Seuss-isms! A Guide to Life for Those Just Starting Out…and Those Already on Their Way: A great little book full of advice kids can understand. Hacky Sack: If the boy on your gift list has yet to learn how to play hacky sack, this is the perfect gift for him. Travel Mug: Teens are always on the go, so why not give them something they can use all year round. Swiss Army Knife: Pocket knives can be a great tool for a teen boy to know how to use. iPhone Charger Lock: Keep that iPhone charger in its place with a charger lock. Beats By Dr Dre Ear Buds: These little earbuds pack a punch. Beef Jerky: Boys love to eat! You can’t go wrong with a gift that includes food. Sunglasses: At the rate boys misplace sunglasses, this is always a great stocking stuffer idea. Pez Dispenser: This retro treat is sure to bring a smile to any boy’s face. DIY Guitar Pick Punch Mega Gift Pack: Make guitar picks with this punch. This set comes with everything you need including a pick holder. Seatbelt Belt: What a stylish belt. It has the same buckle as a seat belt buckle! Marvel Retro Bifold Wallet: The comic print on the inside of this wallet is beyond perfect. Retro Double Open Skeleton Mechanical Roman Numerals Pocket Watch With Chain: This stocking stuffer for teen boys is quite unique. The pocket watch could easily become a keepsake. Nerf Lazer Tag: These Lazer Tag sets are really fun! Get a few sets so you have plenty to go around when friends come to visit. Journal: Help your boy get his emotions and wording down on paper with the help of this awesome leather journal. Karaoke Machine: If your boys love to have friends over, this would be a fun gift. Check out this Karaoke Machine that pairs up with your favorite Apple Products. Laptop Bag: For the boy who LOVES to take care of his electronics, this bag is awesome. It’s modern, stylish, and has plenty of room! 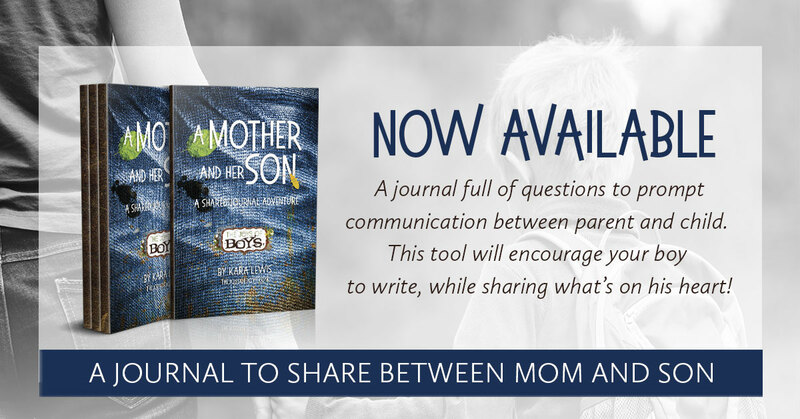 This would be a great gift for the teen who is heading off to college. Gameboy: Is a boy ever too old for a Gameboy? 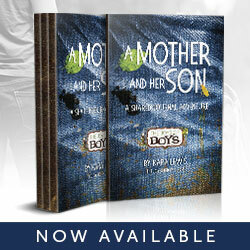 I think this is an awesome gift for your boy, especially around Christmas time. 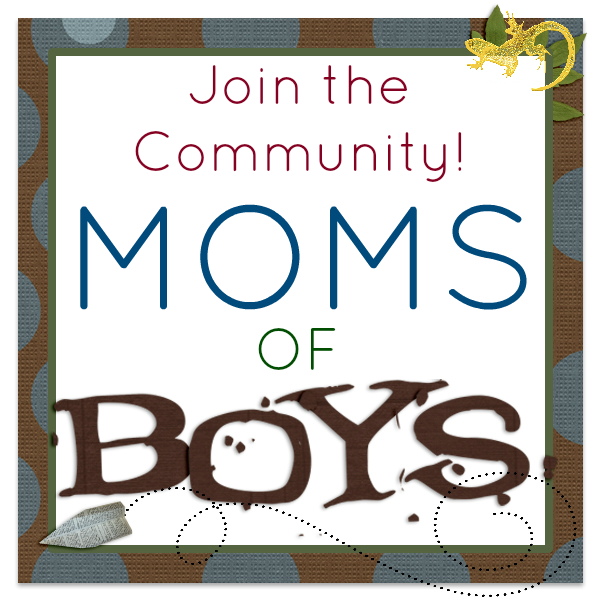 Discs: Do you have an active teen boy who would love to be outside at all hours? These Skylighter Discs are the perfect gift. Drone: If you’re up for it, Drones are still really popular right now. If you think your boy can handle it, this could be the perfect gift. VideoGamer Basket: How awesome is this? 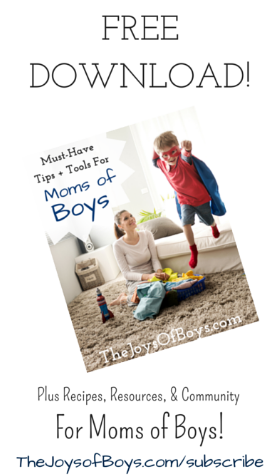 My boys would spend hours playing video games if I allowed them to. I’d say this would make an awesome gift! Shark Blanket: Haha! I love this! 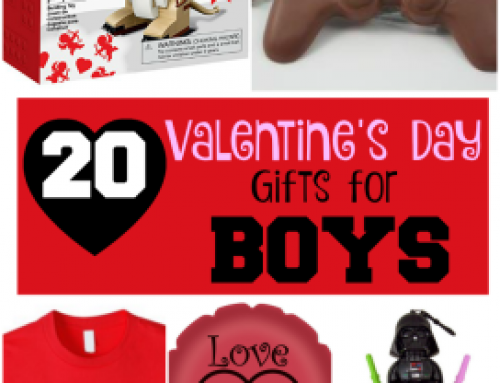 As boys reach their teen years, they really are not into “kiddy” stuff. However, I think this shark blanket is perfect for a teen boy! 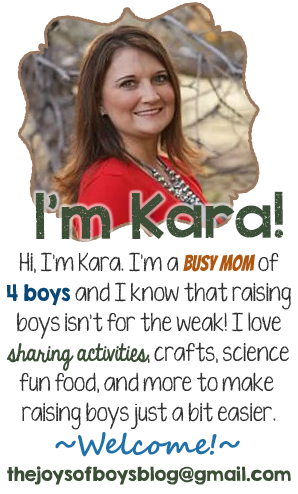 They also have them for younger boys. Educational Robot: My boys love coding and these robots are a lot of fun! You don’t have to tell them that they are for educational purposes. Bean Bag: Teen boys love to hang out with their friends and having a few seating options in their room is fun. A beanbag chair or inflatable chair would be a fun gift. 3D Printer: My oldest has been begging for a 3D printer. There are so many amazing things that teenagers could make if they had one. They are a bit pricey, but I know of some teens making a business out of the things they create. Perfect gift for a budding entrepreneur! Sports Team Gear: My boys each have their favorite sports teams that they follow and they would love anything with their team’s logo on it. This is our favorite place to buy clothing and other items from our favorite teams. Beats: I know my son is dreaming of having these! Who wouldn’t? Beats are the hottest headphones on the market and any teen boy would love to have them! If you are looking for headphones that are a bit less-expensive, here are some great ones. 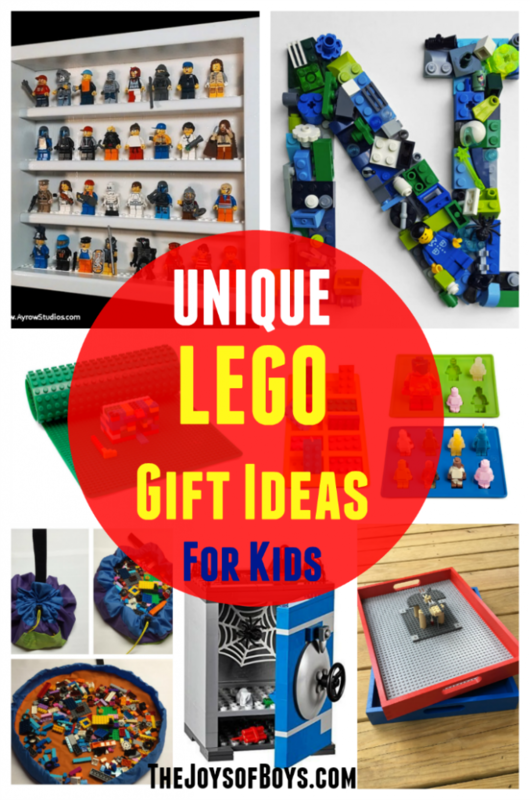 LEGO Boost Creative Toolbox: Get creative with LEGO and technology with this gift idea for boys! Whew! What a list! 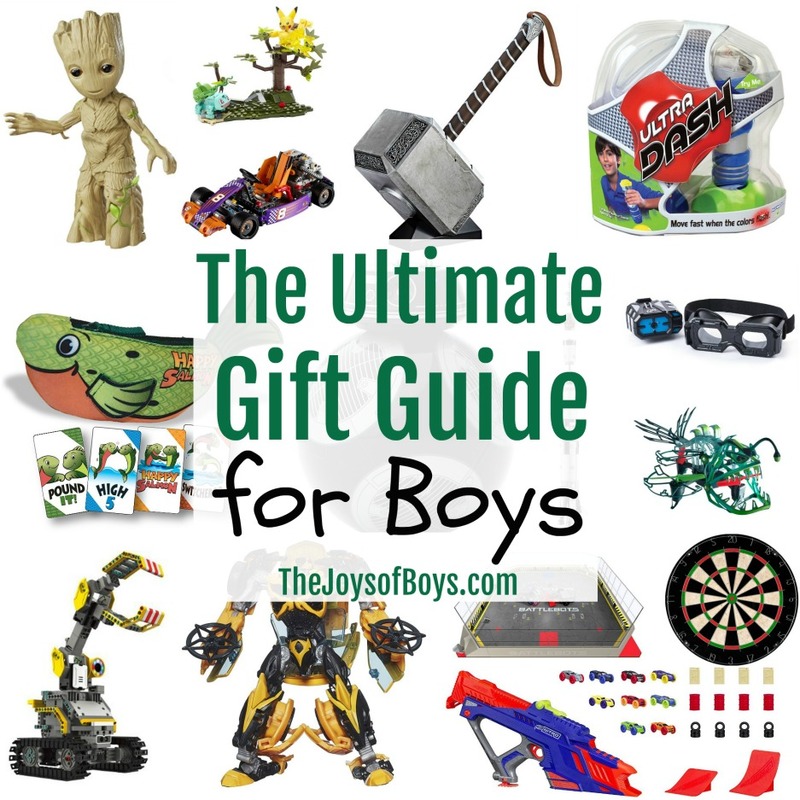 Were you able to find that perfect gift for the boys on your list? 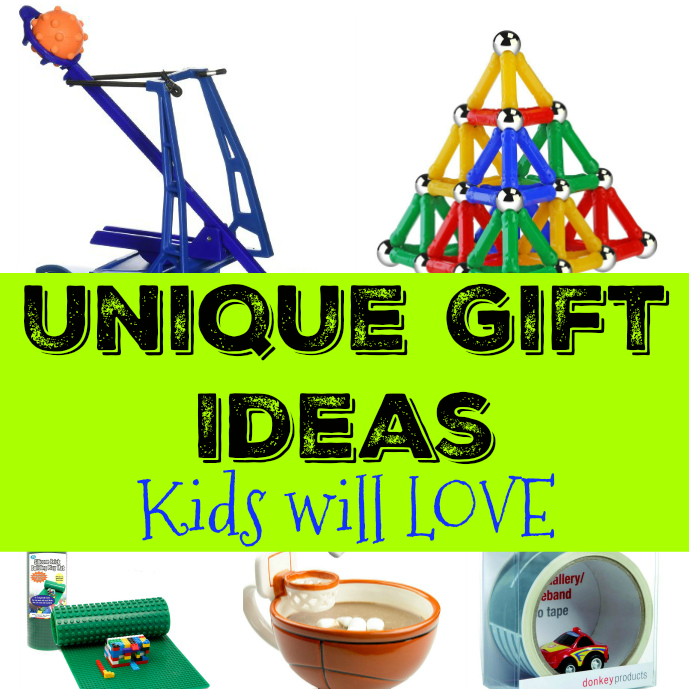 Did I miss any fantastic gift ideas? Feel free to share them in the comments.